The Path India Polyclinic & Diagnostic, New Town, Kolkata is committed to providing consistently superior quality health care services to address the day-to-day health care needs of the family to maximize convenience and comfort. 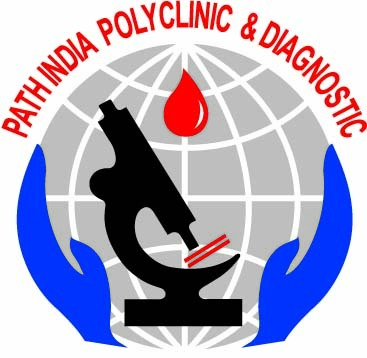 Path India Polyclinic & Diagnostic has been set up at New Town, Kolkata with a broad objective to offer the best possible health solutions with utmost care to a vast majority of people at competitive prices.Path India Polyclinic & Diagnostic maintain the friendlier environment and our staffs are always assistive to the patient. We can understand the sentiment of patient and worries of his/her family. Also We are providing Geriatric care for Senior patients in order to promote our dedication and service to them at their door steps to keep them hassle free. I had consulted her around two weeks back. She is an excellent doctor - checked me with good attention, listen to my problems and diagnose it. She explained me about the treatments and advised me certain things. I am better now and observed significant improvement so far. I am not happy with service and suggestions. not even got much celerity. i can not refer to anyone. He explains everything to patient clearly, listens all problem thoroughly, doesn't give much medicines or testing unnecessarily. I'll recommend for him very much.